Elaine Mae "Lonnie" Loonam, 81, of Chesapeake, passed away Sunday, January 27, 2019 in Virginia Beach. Born in Grand Forks, North Dakota, she was the daughter of the late Leonard and Ethel Lytle. She was predeceased by her husband of 62 years, CAPT. Bernard J. Loonam (US Navy, RET) and her son, B.J. She was a member of St. Stephen, Martyr Roman Catholic Church. Lonnie will be remembered as an avid knitter, who loved cats, and was devoted to her family. Later in life, Lonnie earned her Master's Degree in Psychology. The wife of a career navy man, Lonnie loved to visit new places and explore their cultures. Left to cherish her memory are her children, Patricia, Grace, Elizabeth, Edward and Walter; a granddaughter, Jerilyn; siblings, Gary Lytle and Gayle Landeis, as well as many nieces, nephews, and extended family. The Funeral Mass will be celebrated at 11:00 a.m., Thursday, January 31, 2019 at St. Stephen, Martyr Roman Catholic Church, Chesapeake. Fr. Brian Rafferty will officiate. The interment will be at a later date in Arlington National Cemetery. In lieu of flowers, memorial contributions may be made to the Basilica of the National Shrine of Mary Queen of the Universe, Orlando, FL, www.maryqueenoftheuniverse.org. Friends are invited to share memories and sign the online guestbook at www.omanfh.com. To send flowers or a remembrance gift to the family of Elaine Mae "Lonnie" Loonam, please visit our Tribute Store. 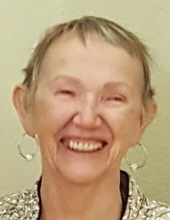 "Email Address" would like to share the life celebration of Elaine Mae "Lonnie" Loonam. Click on the "link" to go to share a favorite memory or leave a condolence message for the family.